A luteal phase defect is a fertility condition that affects a woman’s ovulation cycle and can make achieving a healthy pregnancy difficult, if not impossible. Characterized by low progesterone levels, a luteal phase defect inhibits uterine lining growth, which is required for egg implantation and fetal development. Fortunately, luteal phase defect can easily be identified and treated through lifestyle changes or progesterone-support medicines. Our fertility specialists at Fertility Center of San Antonio can oversee your luteal phase defect treatment at our practice, which has been proudly serving the greater San Antonio, TX, area for three decades. 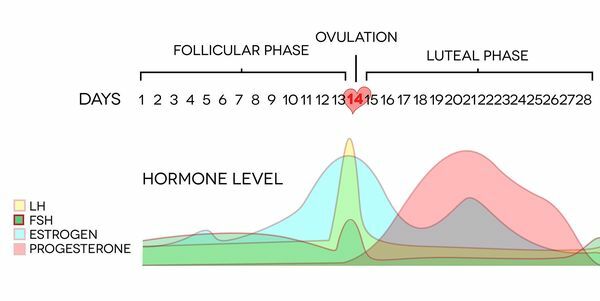 The luteal phase is the period of time between ovulation and menstruation. The duration of the luteal phase is typically 12 to 16 days. During this time, progesterone levels increase and the uterine lining thickens to create a healthy environment for potential egg implantation. A short luteal phase can directly affect your fertility. Some women, however, have a shortened luteal phase of 10 days or less. These women will experience lower progesterone levels and thinner uterine lining. As a result, it will be much harder for them to become and stay pregnant. Most women with luteal phase defect do not realize they have the condition until they try to conceive and find it challenging. A shortened luteal phase may become apparent after a hopeful mother-to-be begins tracking her ovulation cycles and realizes there are fewer days than there should be between ovulation and menstruation. If you have had unsuccessful attempts at conception, or unexplained losses, a luteal defect may be a factor. Follicle-Stimulating Hormone (FSH) - the hormone that stimulates ovarian follicle growth. Progesterone - the hormone that causes uterine lining growth and supports a healthy pregnancy. In some instances, an endometrial biopsy can be performed a day or two before your expected menstrual cycle. A sample of your uterine lining is collected and examined under a microscope to evaluate its thickness. In some cases, treatment for a luteal phase defect involves simple changes to your daily life. For example, women facing considerable stress may be encouraged to practice stress management techniques, such as meditation or moderate exercise. Progesterone - Since low progesterone levels and luteal phase defect are correlated, it probably comes as no surprise that progesterone supplements can overcome luteal phase defect. Women will typically take this supplement following ovulation until the end of their cycle. Human Chorionic Gonadotropin (HCG) - Also known as the pregnancy hormone, this supplement encourages progesterone secretion. Clomiphene Citrate - This medication stimulates ovulation by encouraging the release of FSH and LH. If you have had unsuccessful attempts at conception, or unexplained losses, a luteal defect may be a factor. Find out how our staff can help you overcome this condition by calling us at (210) 692-0577 or reaching out to us online.